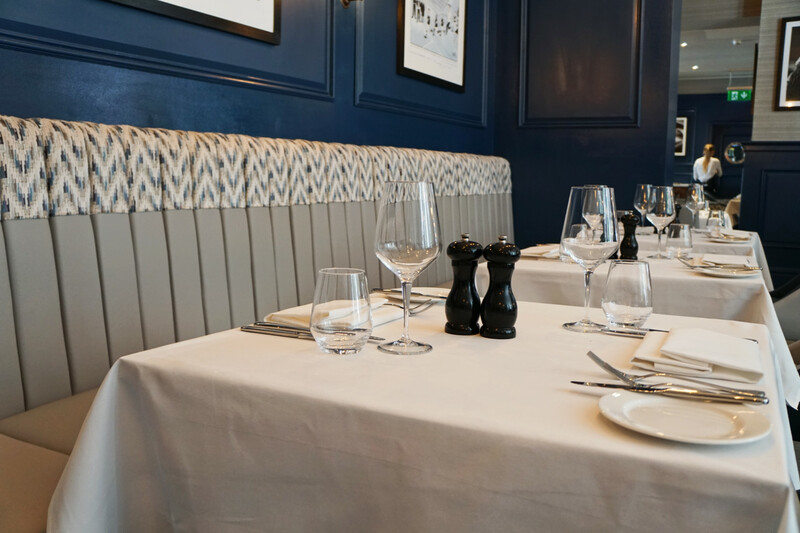 We were excited to be invited along to Marco Pierre White’s new Steakhouse Bar and Grill at The Clifton Hotel in Folkestone. With the excellent Rock Salt around the corner, and the popularity of the harbour arm, Folkestone’s reputation as a foodie destination is on the rise. With such a high profile name attached to the restaurant we were interested to see what the Marco Pierre White is serving up in Folkestone. The Clifton Hotel is located near the Leas Cliff Hall and blends in among the avenues of pavillion like buildings. Handily, there's parking right outside and great views of France when we arrive. The dining room had been put together nicely, with peacock blue wood panelling and soft grey leather seating. Filament style light bulbs hang over head giving the interior an intimate feeling, big windows look onto a garden outside. Framed pictures of Marco hang on the walls along with satirical cartoons. 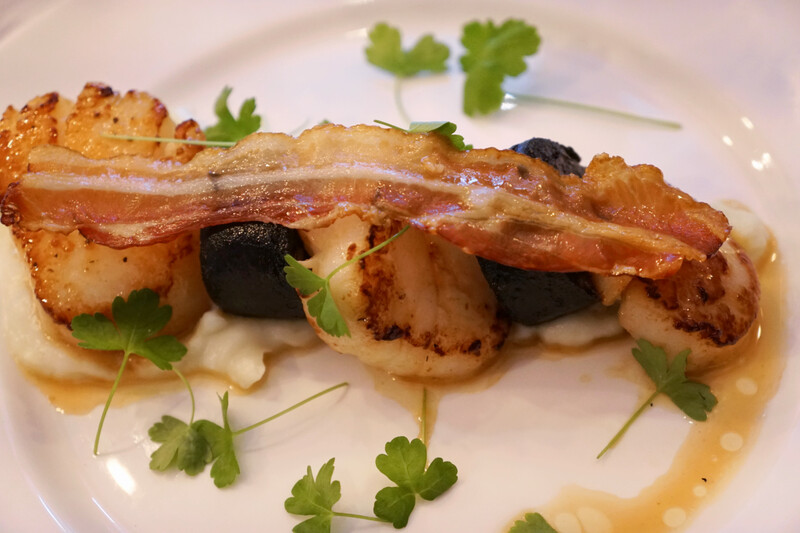 To begin Ben chose seared scallops with pancetta and black pudding. The scallops were sizable, especially for a starter and sat on a bed of faultlessly smooth cauliflower puree. They were seared quick and hot leaving the outside crisp and the inside smooth and tender. A rasher of pancetta sitting on top adds a crunch and punch of saltiness. The black pudding is beautifully soft and rich, a good start to the meal bringing with it big flavours. Charlotte went for the smoked salmon, a much lighter alternative. 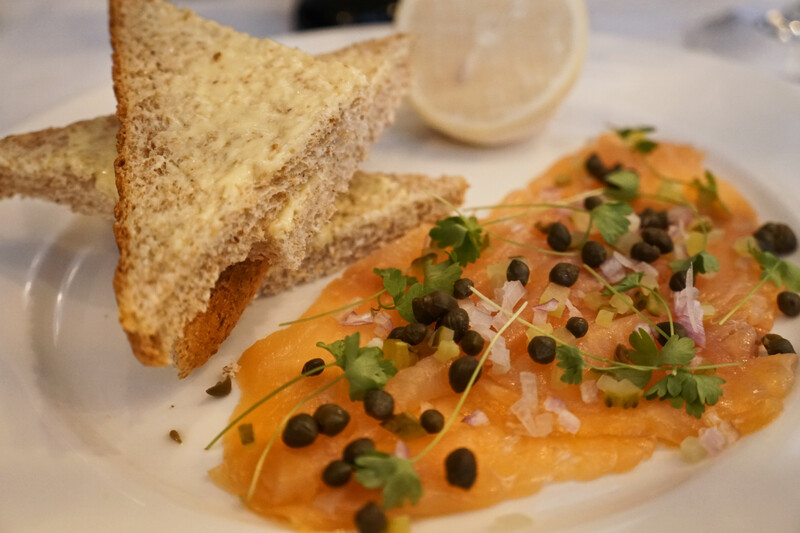 It was simply great quality smoked salmon, thick and beautifully soft topped with a garnish of chopped red onion, capers and pickles. Not something we often try but the combination of the garnish and lemon was spot on. Next, Charlotte had the Pig Mixed Grill. Baby back ribs a welcome treat among the selection, the tender bbq flavoured meat falling off the bone. The bacon chop is the standout item, juicy crisped fat and incredibly salty. A good cumberland sausage and more black pudding bulk out the meal as you begin to wonder if you’ll make it to the end. The sharp mustard sauce is the perfect accompaniment to the plate of meat, cutting through its heavy saltiness. The cast iron skillet it came in was a little constrictive to navigate. It’s a hearty dish but not for the faint hearted, especially as part of a three course meal. Ben decided on the Sirloin steak. It was delicious and smoky, brilliantly pink inside. A perfectly good steak with no surprises. A little on the pricey side for what it was, but just like everything else on the menu cooked to perfection. Next time we might explore other options on the menu, which sound equally delicious. Both of our meals come with a choice of sides - however we both went for triple cooked chips, a no brainier. The plates emanate a yellow glow and a chorus of angels sing out as they are brought to the table. They’re perfectly golden with a crisp outer shell that’s brain shakingly crunchy. 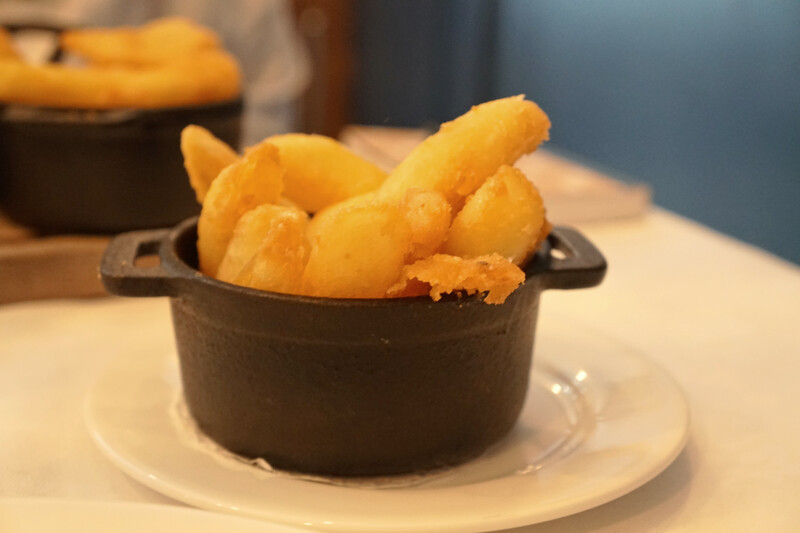 Their fluffy white insides are chip shop goodness taken to the the next level. Be sure to order these with your meal, they’re available as a side dish if your meal does not include them. Onto desserts. 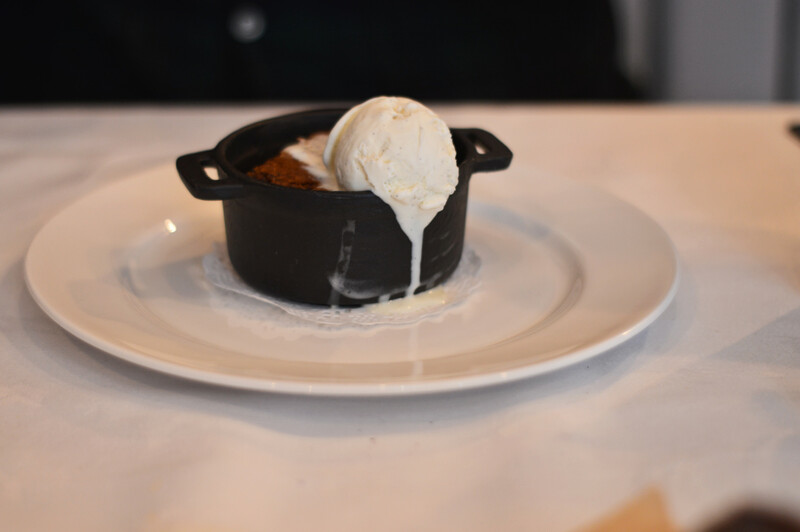 The sticky toffee pudding was rich and dark, filled with molasses and toffee flavours while ice cream melted over the warm sauce - a big hit with us. The billionaires shortbread was another success. Topped with a silky smooth chocolate fondant that gave way to channels of flowing caramel beneath. The next layer a creamy yet firm centre and an oaty biscuit base beneath. 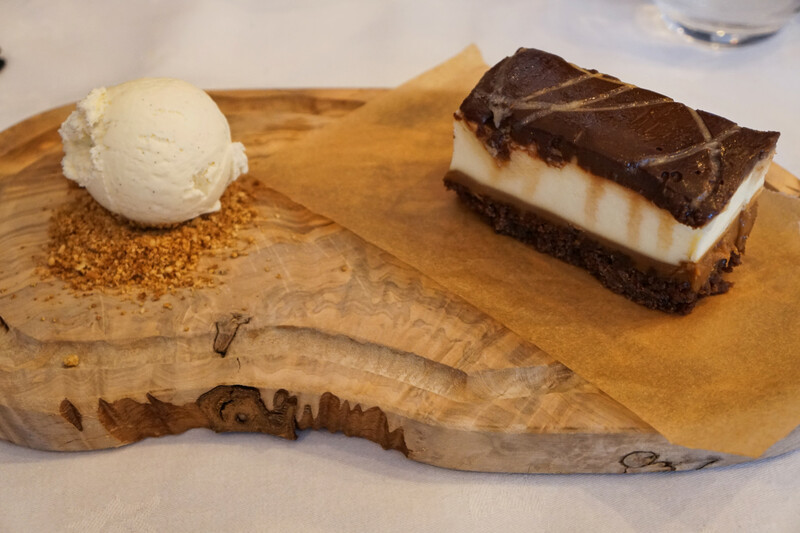 A deliciously indulgent dessert with lots of elements to enjoy. They’re a lot to handle, especially as a third course. But if you have room, it’s well worth squeezing it in. The cocktail menu is very well put together, like the restaurant it has a focus on traditional simplicity. 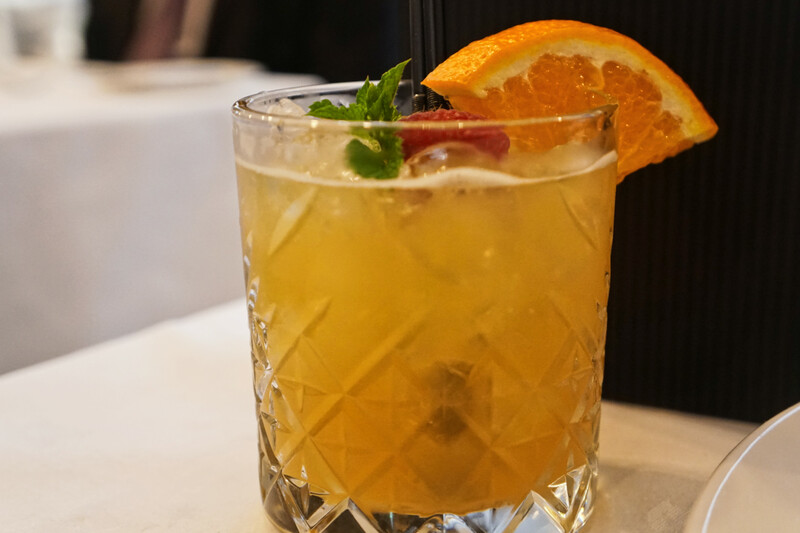 The mai tai is one of my favorite cocktails and a great way to test a cocktail menu. It is often overlooked as a tacky tiki drink, and often associated with pineapple and tiny umbrellas. This however was a classic through and through, delicious flavours of almond from the orgeat without being overpowering and cut through with the citrus of the Orange Curacao and fresh lime. It exemplifies the restaurant’s dedication to tradition and good ingredients. 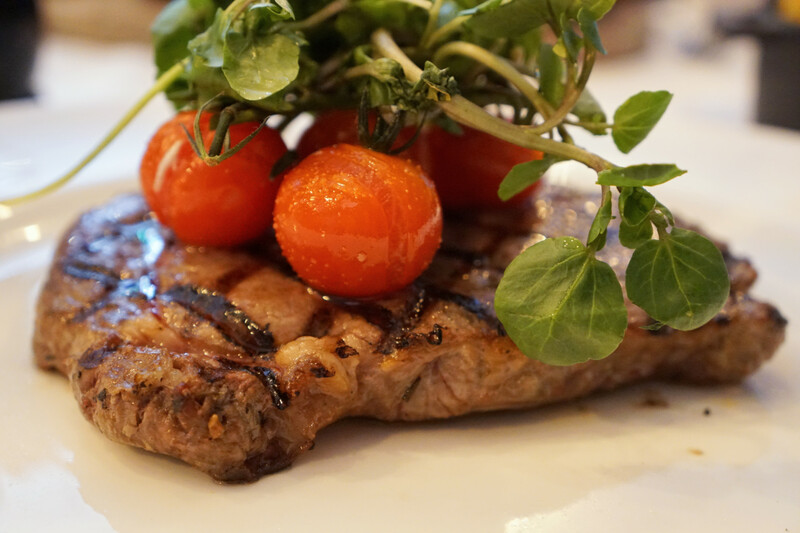 What the steakhouse does well is simple and unspoiled classics. The menu is full of British dishes like shepherd's pie and apple crumble. They're well executed, and you’re guaranteed a plate of great food. Which may suit some people better than others, if your looking for new and innovative dishes you may wish to try somewhere else. 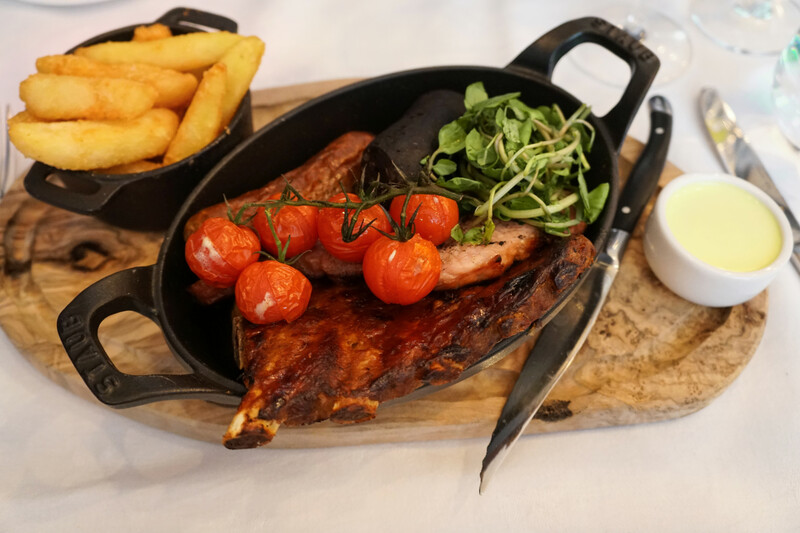 The nature of the menu and the atmosphere of venue leaves us wanting a bit more for a special occasion, but it would be the perfect place to come for a dinner with family. The service was excellent and everything went without a hitch, this is especially impressive considering it had only been open a few weeks. If you’re with a group of fussy eaters they can get something great without being challenged too much.